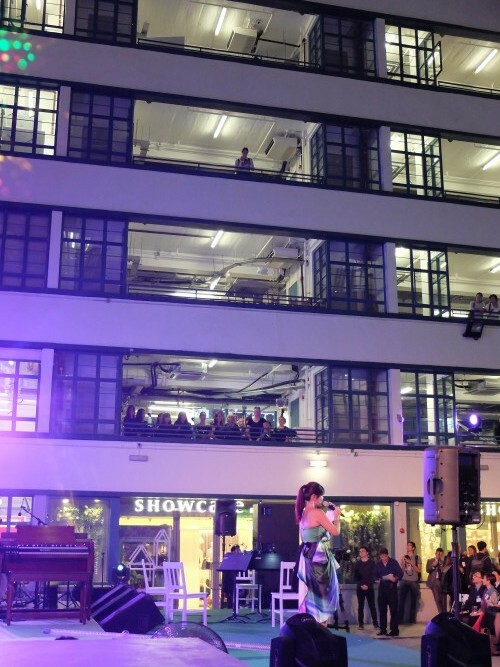 No sooner were our two debut concerts over than we did our third live performance for the opening ceremony of Operation Santa Claus at PMQ (the former Police Married Quarters) in Central. Operation Santa Claus is an annual charity campaign jointly organised by South China Morning Post and Radio Television Hong Kong, which aims to support the local community and beyond. 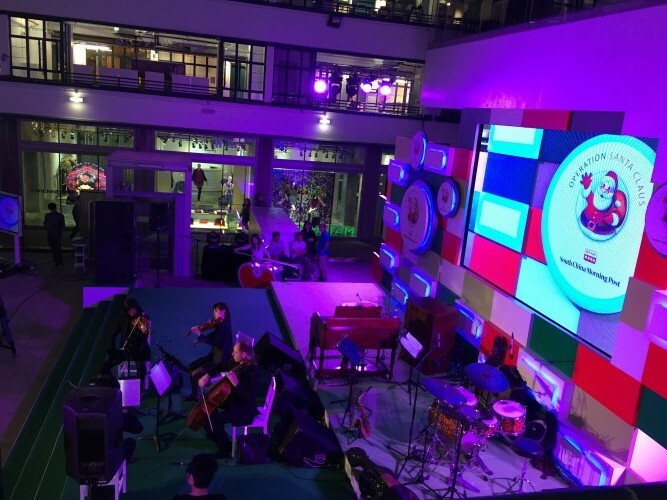 Last year it raised more than HK$20 million and it is one of the most prominent charity efforts in the city. Needless to say it was a huge honour for our group at this very early stage of our career to be invited to perform at such an occasion, and we were very pleased to be introduced as ‘the newest top level chamber choir in Hong Kong’! We opened the ceremony with Britten’s Wolcum Yole (taken from his famous Ceremony of Carols) accompanied by a pre-recorded harp track (!) We also performed Byrd’s Laudibus in sanctis which fitted the ceremony perfectly with its celebratory message. We were perched up on a first floor balcony overlooking the stage below which was interesting, and the tight space certainly made the singing a little more challenging!